Weighing less than a golf ball, the Eastern Pygmy Possum is one of the smallest possums in the world. These possums shelter in spherical nests in tree hollows or beneath loose bark – and are important pollinators, transferring pollen between flowers as they feed on nectar. 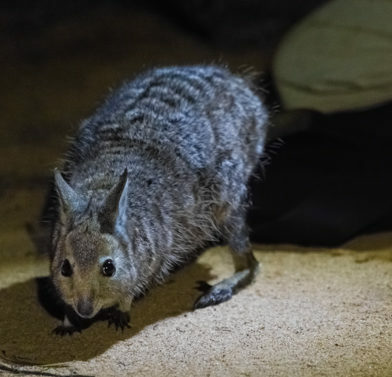 AWC has carried out a historic translocation to reintroduce pygmy possums to the largest remaining patch of Eastern Suburbs Banksia Scrub at North Head Sanctuary in Sydney. This reintroduction is part of an ongoing program to restore native mammal species to North Head, in particular species which act as pollinators for the diverse Banksias on the headland. Eastern Pygmy Possums are also protected by AWC in the Pilliga, which is one of the furthest-inland populations of the species. Eastern Pygmy Possums occur across a wide area, but are sparsely distributed throughout their range. 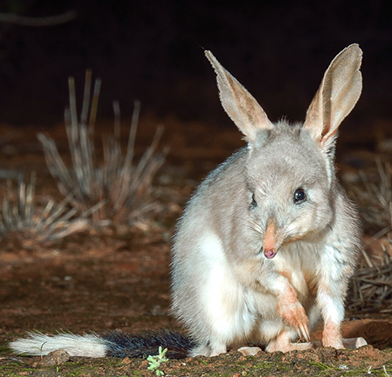 In New South Wales, wide-scale efforts to trap for the species have resulted in low capture rates. Habitat loss through logging, altered fire regimes, and introduced predators all pose significant threats to the species. Habitat fragmentation has caused some populations to become isolated, restricting dispersal between populations. Inappropriate fire regimes can lead to a decline in the nectar-producing plants on which the possums feed, and feral foxes and cats are known predators. The Eastern Pygmy Possum is tiny, weighing less than 45 grams and growing to just over 10 cm in length. It has a short snout and large round ears. Its fur is grey-brown above with whitish underparts, and it has a long, sparsely-furred tail (also about 10 cm) which is prehensile (able to wrap around twigs and branches) providing extra support when it is moving through the foliage. The Eastern Pygmy Possum is nocturnal, emerging at night to feed on nectar and pollen from flowering plants such as banksias and eucalypts, as well as some insects. It is an important pollinator, transferring pollen between flowers as it feeds. Eastern Pygmy Possums construct small spherical nests out of bark, often in tree hollows or beneath a loose layer of bark, where they shelter during the day. In cold conditions, they enter a state of torpor to conserve energy. The Eastern Pygmy Possum inhabits heathland, Banksia scrub and eucalypt forests along the south-east coast of Australia, from south-eastern Queensland to far south-eastern South Australia. Populations also occur west of the Great Dividing Range at Pilliga Forest in NSW, and in Tasmania. 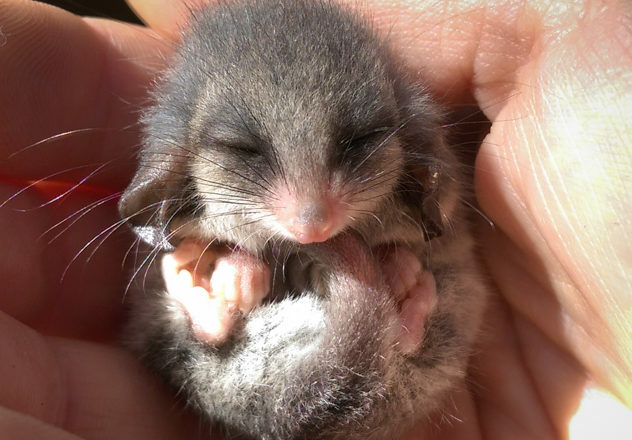 Donate Now to help protect Eastern Pygmy Possums at North Head and in the Pilliga. 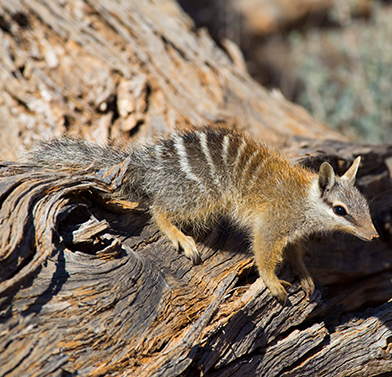 The Numbat is unique among Australian mammals: it is a highly-specialised termite eating marsupial. The Banded Hare-wallaby is the sole survivor of an ancient group of kangaroos which included the giant short-faced kangaroos.